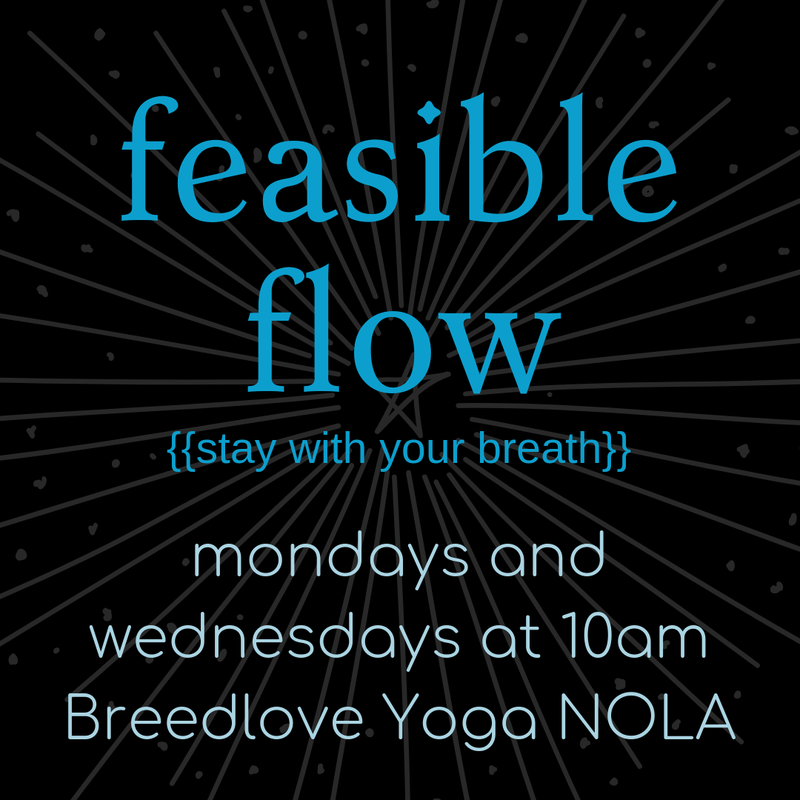 Breedlove Yoga NOLA: New Class Alert: Feasible Flow! 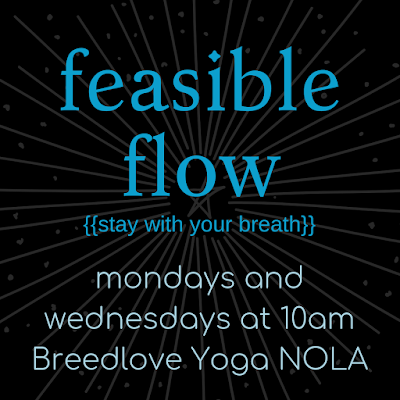 New Class Alert: Feasible Flow! Engage in an accessibly paced paced flow class including sun salutations and stacked standing poses to work the body, and then rest well with a full yoga nidra and savasana in this new class offering with Melissa B. Get your week started off right at 10am Monday mornings, and then keep the momentum going at 10am on Wednesdays. Some yoga experience is suggested but not required. We can't wait to see you there!